The Akwa Ibom State Government has asked Brazil legend, Pele, to refund a $300,000 appearance fee. Pele was paid the amount, to grace the opening of the Godswill Akpabio International Stadium in Uyo two years ago. The 30,000-capacity stadium, hosted Nigeria’s 2018 World Cup qualifier against Algeria last weekend and was declared open by former president Goodluck Jonathan in November 2014. 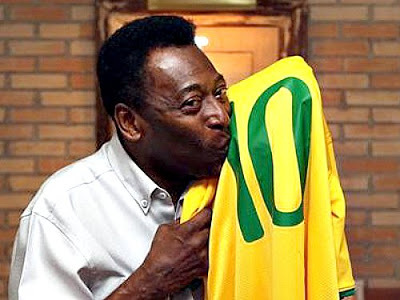 Pele failed to attend the inauguration, because there was a shift in dates for the opening of ‘The Nest of Champions’. This has led to the state government demanding he pays back the money. “The Akwa Ibom Government want their cash back, but so far all their efforts have proved abortive,” a source told African Football. “They want all the $300,000, but some experts in the business have advised they should angle for a part of this sum. “Pele’s people have continued to insist they were not the ones who breached the agreement and so they could not be liable.